The Ontario Forensic Video Analysts’ Association (OFVAA) is holding its 6th Annual Training Event from April 30 – May 4, 2018, at the DoubleTree Fallsview Resort & Spa by Hilton in Niagara Falls, Ontario, Canada. 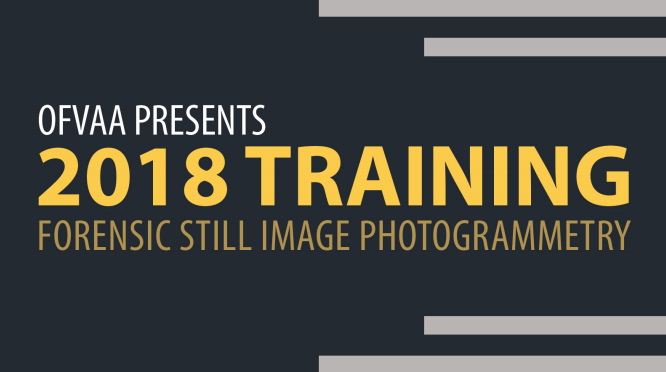 The full week of training will focus on “Forensic Still Image Photogrammetry” and will cover a range of topics around height analysis from surveillance video and still images with practical hands-on training by field experts including Amped Software’s David Spreadborough. Students will perform and validate scientific height analysis using multiple methods including Reverse Projection, Laser Scanning, Computer Image Creation, and also Measure 3d in Amped FIVE. This event provides a unique opportunity to use all these techniques to identify each one’s ideal use scenario, in order for officers and analysts to use the right technique in the right scenario, cutting costs and time. This entry was posted in Announcements, Events, FIVE, Training on April 27, 2018 by Darlene Alvar.